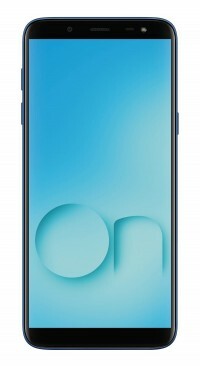 Samsung has announced its latest On Series smartphone, called Galaxy On6, in India today. The phone is a doppelganger of the Galaxy J6 (right down to the model name) and offers the same 5.6-inch 1480x720px 18.5:9 Super AMOLED display and Exynos 7870 chipset with 4GB of RAM. You also get a 13MP main and 8MP selfie camera and a 3,000mAh battery. 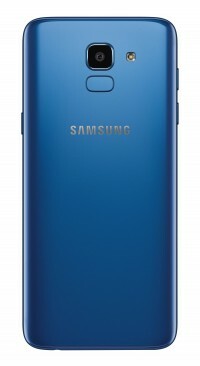 The rest of the Samsung Galaxy On6 highlights include Android 8.0 Oreo with Samsung Experience on top, a fingerprint scanner (alongside Samsung's take on Face Recognition) and 64GB of storage with microSD card expansion. The optional dual SIM support, a 3.5mm audio jack and FM radio chip complete the picture. 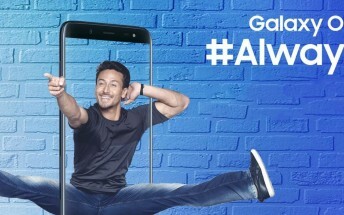 The Samsung Galaxy On6 will launch as a Flipkart exclusive in Blue and Black color options. The first sale is on July 5 at a special price of INR 14,490/€180 (down from the standard INR 15,490/€200).